Cascabel Chillies from Mexico are red, small, drop shaped chillies, which grow upright. The pods are moderately hot with a heat level between 1,500 and 3,000 Scoville units. The name Cascabel means “rattle” in English referring to the sound the loose seeds make inside a dried Cascabel when the chili is shaken. 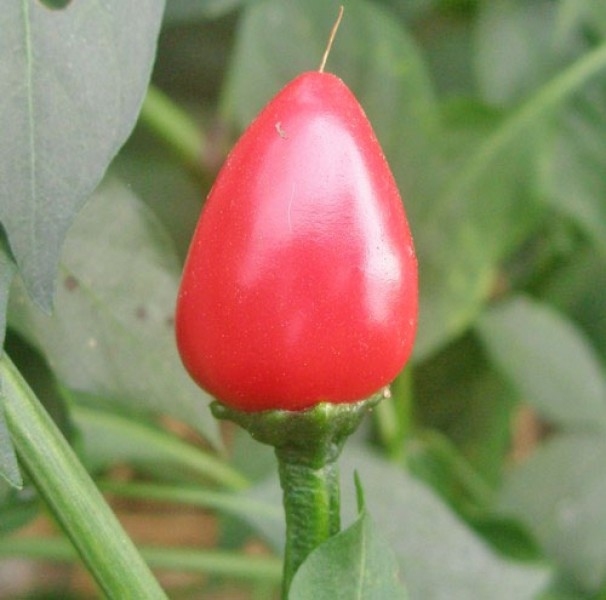 In fact, in Mexico the chillies are mainly used dried or roasted in soups, sauces, salsas and stews. They have a sweet, slightly smoky, nutty flavor with a rich tannic nuance, which goes perfectly with meats, chicken or fish.